We Are Pleased To Introduce Ourselves As A Manufacturing Exporter Of Well Designed Ready Made Garments Including The Apparels In Export Style For Gents And Ladies. We Have Fully Organized Machinery Set Up For The Quality Output Of Our Products Also Enhanced With Certification ISO 9001:2008 Issued By UKAS And WRAP Association. The Best Of Designers And Officials Have Been Roped In To Create A Team Of Highly Efficient Employees Who Have Built A Solid Foundation To The Organization. The Changing Market Trends Are Monitored And Latest Trends And Fashions Incorporated In The Designs And Fabric. The Same Quality And Standard Is Maintained To Keep Our Credibility And Our Client’s Credibility Intact. We Being Offering Outstanding Value Through Excellence In Design And Cost Effective Manufacturing Benchmarked To Global Standards. Keeping Pace With The Highest Levels Of Ethics & Corporate Social Responsibility We Are Sensitive To The Needs Of All Stakeholders And The Social And Ecological Environment We Operate In; Vigorously Focusing On Mass Market Segment, Overseas And Domestic Markets. We Strongly Emphasis On Supply Chain Efficiency, As We Have Technology Driven Manufacturing Hence Having Great Success In Domestic Market With Various Companies With A Long Term Smooth Business Relations. Our Current Overseas Markets Covers USA, Italy, UK And UAE. We Are In Active Discussions With World Leading Brands And Have Productive Relations With Walmart And Diesel Based In Usa. Ever Since Its Inception In 2002 In Mumbai, We Have Witnessed The Steady Unfolding Of A Success Story In Shirts Manufacturing. Headed By A Team Of Committed And Sincere Individuals Who Are Empowered With Experience And Thorough Knowledge In This Field, It Was Bound To Be A Success Story. 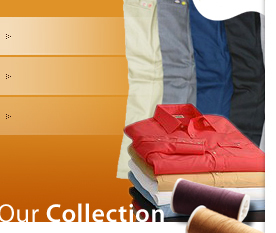 The Implementation Of The Idea Of A Perfect Communion Of Quality And Style Makes Us One Of The Most Acclaimed Manufacturers And Exporters Of Men's Formal & Casual Shirts In India. Sudar Garments Is A Major Player In The Job Work & Third Party Manufacturing In Garment Industry In India... Our Facilities, Technology And Standards Of Performance Meet International Paradigms. We Honor And Preserve Our Heritage Of Quality.